Private equity firms are categorized into several buckets. You may hear a given fund referred to as a buyout fund, growth equity fund or venture capital fund and this should give you a clue about what type of investment a company could make in your company. 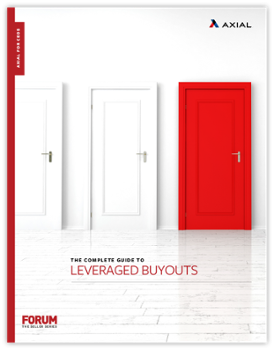 In this guide, we’ll introduce you to leveraged buyouts and walk you through a 10 step process that will give you a better understanding of what to expect and how to prepare when considering the sale of your business through this type of transaction. First, though, we’ll take a closer look at how private equity (PE) firms are structured and how they operate so you can ask the right questions during the initial phases of the M&A process.